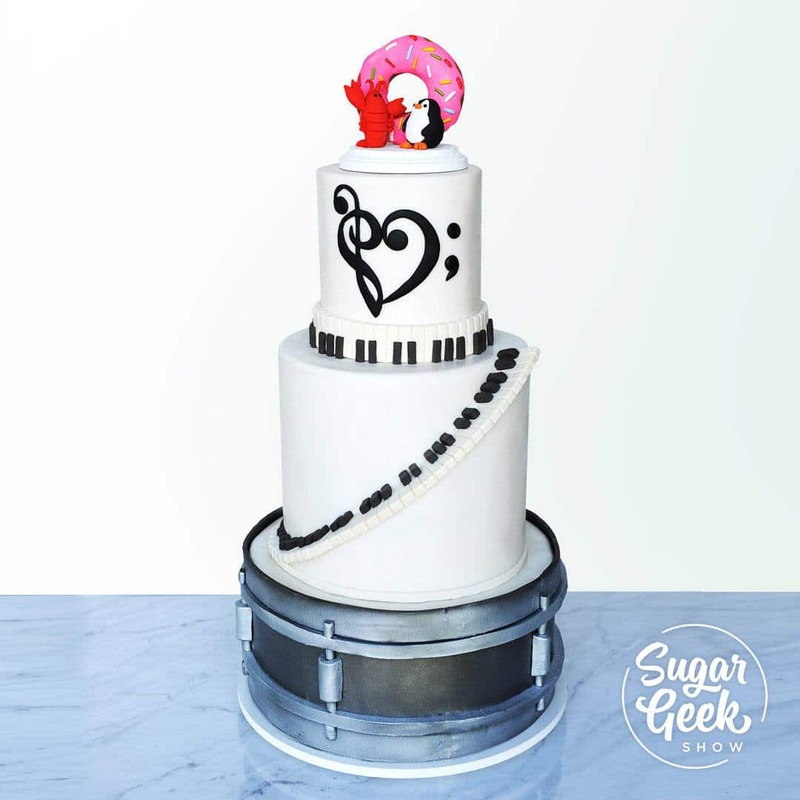 Music is like a dream, and this wedding cake is no exception! Learn how to craft a drum tier, a beautiful staircase piano key double barrel, a musical heart detail, and a keepsake cake topper, made out of clay that will never go bad. There’s plenty of details, tips and tricks to cover, so let’s get started!